This anthology vastly expands our understanding of the much-misconstructed history of early modern Bengal and seeks to redress the misconception that economic decline in Bengal set in even before the British conquest of the region. Based on original sources from European and Indian archives and libraries, the essays underline that Bengal had a prosperous economy in the mid-eighteenth century and was suffering from neither economic nor political crisis. 1. The Rise and Decline of Hugli: A Port in Medieval Bengal 2. Prices of Provisions in Bengal in the Second Half of the Seventeenth Century: Moreland Refuted 3. The Myth of the English East India Company’s Trading Privileges in Bengal, 1651-1686 4. The Problem of Financing East India Company’s Investments in Bengal, 1650-1720 5. Textile Trade and Industry in Bengal Suba, 1650-1720 6. 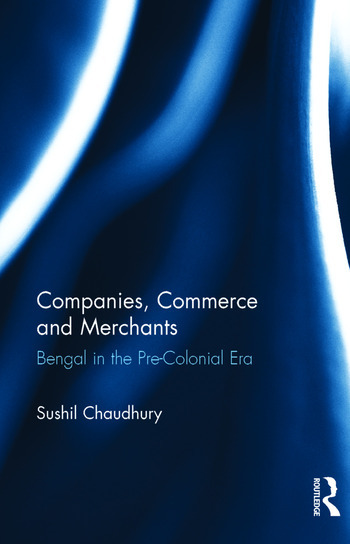 Bengal Merchants and Commercial Organisations in the Second Half of the Seventeenth Century 7. Saltpetre Trade and Industry in Bengal Suba, 1650-1720 8. Continuity or Change in the Eighteenth Century? Price Trends in Bengal, c. 1720-1757 9. European Companies and the Bengal Textile Industry in the Eighteenth Century: The Pitfalls of Applying Quantitative Techniques 10. European Companies and Pre-Modern South Asian Commercial System: A Study of Bengal in the Eighteenth Century 11. General Economic Conditions under the Nawabs 12. The Traffic in ‘Drug’ in Bengal Suba: A Study of Opium Trade and Production, 1700-1757 13. International Trade in Bengal Silk and the Comparative Role of Asians and Europeans, c. 1700-1757 14. Merchants, Companies and Rulers: Bengal in the Eighteenth Century 15. The Asian Merchants and Companies in Bengal’s Export Trade, c. Mid-eighteenth Century 16. The Inflow of Silver to Bengal in Global Perspective, c. 1650-1757 17. Was there a Crisis in Mid-eighteenth Century Bengal? Sushil Chaudhury, former University Chair Professor of Islamic History & Culture, Calcutta University, is National Research Fellow, Indian Council of Historical Research, New Delhi. He is also a Fellow of the Royal Historical Society, England.